RAY COOKE AUCTIONEERS are truly honoured to bring to announce this fine four bedroom Semi- Detached family home to the market. 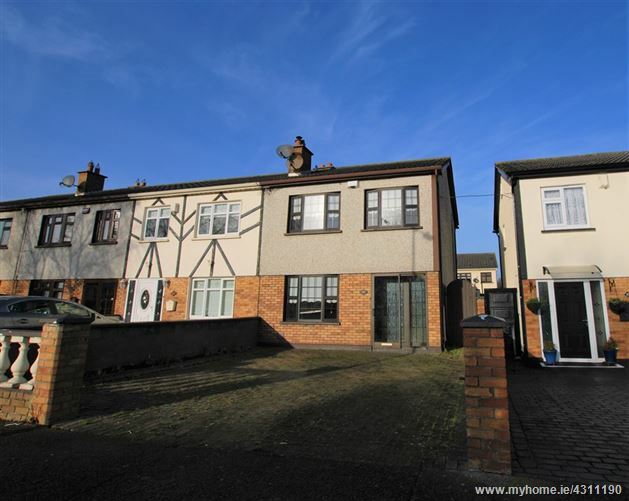 This home with attic conversion is ideally tucked away on Monksfield Lawns, Dublin 22. This location proves ever popular with families and young as it finds itself within close proximity of Clondalkin Village and its vast array of amenities including The Mill Shopping Centre, Clondalkin Leisure Centre, esteemed primary & secondary schools, and a host of bars & restaurants. Bus routes to and from Dublin’s City Centre are within a short stroll and both The Luas & The M50 Motorway are very easily accessible. Interior living accommodation of c. 1205 sq ft comprises of entrance hallway, guest wc, lounge, open plan kitchen, conservatory, four bedrooms, converted attic, and main family bathroom. No. 21 is prime for 1st time buyers and is ready to occupy. Viewing is highly advised, call Ray Cooke Auctioneers for further information or to arrange viewing.